Medical Alert Advice has you covered if you are in the market for a medical alert system. We will help you sort through and find the best medical alert device for your needs as well as compare medical alert systems and their features. This handy buyer’s guide will walk you through the steps to purchase a medical alert and any answer questions you may have about the process along the way. 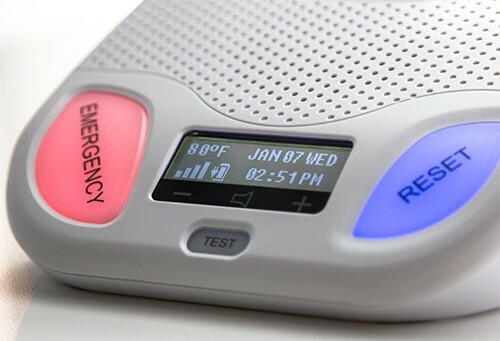 What kind of medical alert device features do you need? Think about the level of service that you or your loved one will require. There are many different medical alert device offerings currently in the marketplace. Before you start your search, think about what services are most important to you. If you don’t have a traditional landline, a company that offers a cellular based unit is your best bet. This means you do not need a telephone line for your medical alert device to connect to the monitoring station. Are you a diabetic who suffers from fainting spells? Then automatic fall detection would be a great option for you. How about optional services like activity detection or a second button for a spouse? See our video or written article on How Typical Medical Monitoring Systems Work. Can you install a medical alert system yourself? Most medical alert systems come with very simple self-installation instructions (see our medical alert Basic Set-Up Guide). Try not to limit your list of medical alert system providers to only those who provide installation services, as you’ll find most do not. If you can’t perform the installation due to distance from your loved one or a physical handicap you may have, then try to get a neighbor, friend, or young adult to help. It will broaden your medical alert device choices and save you money. Again, in most cases the medical alert system set-up is as simple as plugging it in and testing the alert button. What’s important when comparing medical alert features? Start by using our Medical Alert Comparison tool. It provides a side-by-side interactive chart of what are the most important items to consider when buying a medical alert system. Remember that you are buying a service, and not simply a product. That means, you will want to take into consideration the company’s monitoring capabilities, response times, and customer service. If you have a difficult time getting the information you want before you’re a customer, imagine what it may be like once you are a customer. When comparing companies, make sure to look at important items such as monthly costs, activation fees, long-term contracts, button range, button battery life, repairs or replacement charges, and advanced capabilities in case your needs change. How much does a medical alert system cost per month? 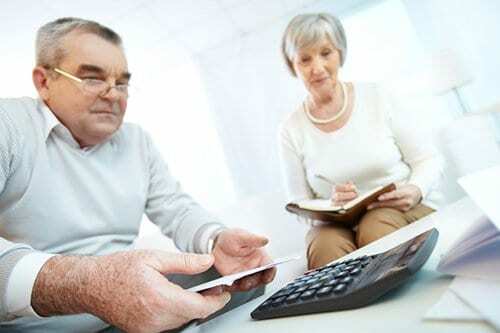 Considering many seniors are on fixed incomes, deciding on what amount you can afford monthly is a critical step in the medical alert buying process. Unfortunately, Medicare and most insurance companies do not cover the cost of these devices. However, check with them first to see if there is an exception. Each company may also offer flexible payment options or even a discount when you pay annually. Also, be sure to ask what discounts are available when you decide on which medical alert provider to choose. Many of them offer AARP, military or other discounts that may apply to you. What range does the medical alert pendant have? The base station units will have a range radius usually between 300-1,500 ft in which they will communicate with your medical alert pendant. Decide if the range will work for you in your size home. Some companies offer a range extender for an additional cost. The cellular pendants will not have a range limit, so you will have more freedom to use it outside of the home. Many medical alert providers have on-the-go GPS protection so be sure to check out those if you are looking for coverage outside your home. How do you want to wear your medical alert pendant? Pendants come in a variety of options such as a necklace, bracelet or they can clip to your belt. 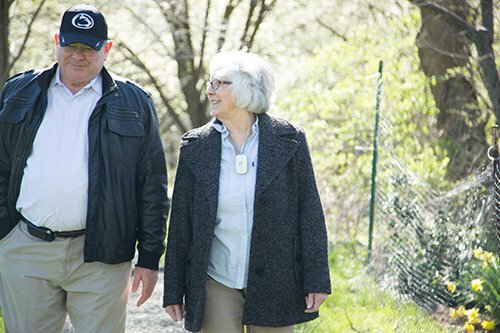 You will have to be sure your loved one will wear their medical alert device at all times to get the most protection from it so comfort and style matter. Mobile medical device options may have to be charged on a nightly basis while traditional pendants do not. Some mobile GPS options are not fully waterproof and may only be water resistant, so you should consider a fixed wall mounted emergency button for the shower or bathtub. Will your loved one remember to remove their device and also to put it back on after a shower or nightly charging? If you think this will be a problem for them, we suggest looking into an additional solution such as activity monitoring or asking if the medical alert provider offers a daily check-in service. Do you need a medication management system? 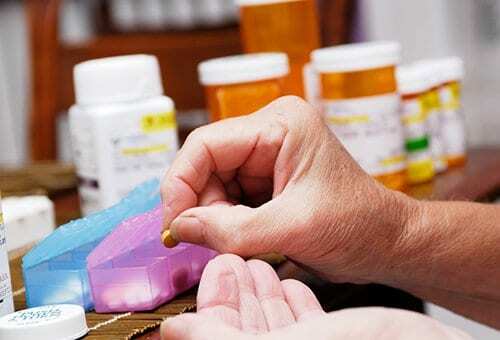 Some medical alert companies offer medication management systems that can remind you when to take your medication and also can dispense the doses for you. This can be a great add-on service if you don’t live with your loved one and don’t visit them daily. 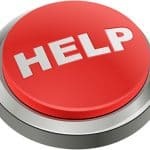 Prepare a list of the most important ailments, handicaps, medications, allergies, primary doctors and specialists that you want the first responders to have on hand and give this information to your medical alert monitoring company. Keep a detailed but simple list on-site for these first responders as well, and tell your medical alert company where it’s located. For example, tell them that it’s taped in a ZipLock bag inside the medicine cabinet or attached to the master bedroom door. Keep this information up to date and be sure to note when it was last updated on the document itself. 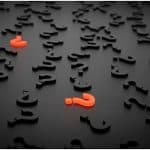 Who should be notified if there’s a medical emergency? You need to provide an emergency call list of who to notify if an emergency occurs. Everyone on the list should have a key to the home, codes to turn off security systems, and they should know where the list of medical information is kept. People that can respond quickly should be higher-up the call list. A retired neighbor or sibling that lives close by would be good choices. If you’re the only contact on the list and leave town for vacation or business, let the monitoring company know in advance so they can pass that information on to the first responders. You should be able to make temporary changes to the list for those times that you may not be easily reachable. Make sure to ask the medical monitoring company how many emergency contacts you can have as well since the number may vary with each provider. Should you have a lockbox for a key outside your home? It can be extremely helpful and very cost effective to put a lockbox for a key on the doorknob to the home. 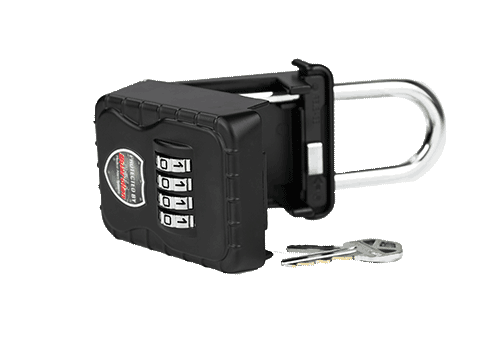 If you prefer lockbox not be at the front door, put it on a side door instead. You should tell your medical alert provider where the key lockbox is located and the code to it. Be sure to put the code that will disarm the security system with the key and where the alarm keypad is located if this applies to your situation. You should also give this information to the monitoring center, since a loud security system siren will make it very difficult for the first response team to do their job and very stressful for your loved one. Also, if you or your loved one keeps a storm door locked, then the lockbox should be located on the storm door or another door so the first responders can gain access to the home without damage. Your loved one may have concern with their key being in a lockbox outside their home and the monitoring company have the code to their security system. Assure them that the lockbox is very strong and made for this situation and also that the medical alert monitoring center handles thousands of customers just like her and that they take great care in protecting this personal information. Do you have a plan in case of a fire or home invasion? First things first, you should be sure that your loved one’s home has a smoke alarm installed in their bedroom, outside the bedroom sleeping area, and on each floor, at the bottom of each staircase. A carbon monoxide detector should also be installed outside the sleeping area as well as one on each floor. Be sure to have the batteries checked regularly and test them too with the self-test button found on each detector. It’s a good idea for any home to have a written escape plan established in case of a fire, a procedure in the event of a home invasion, or safe place in the home in case of a tornado. Plan for these unlikely, but traumatic events now, before they occur, and write the procedures down. A good place to put them would be near the medical information obtained above. That way, they can be reviewed, by you or your loved one on a regular basis. PART 2 – How Do Medical Alert Devices Work?